My daughter has been using the Complete Home Learning Suite from Essential Skills Advantage (ESA) to review some of her studies for the past school year. 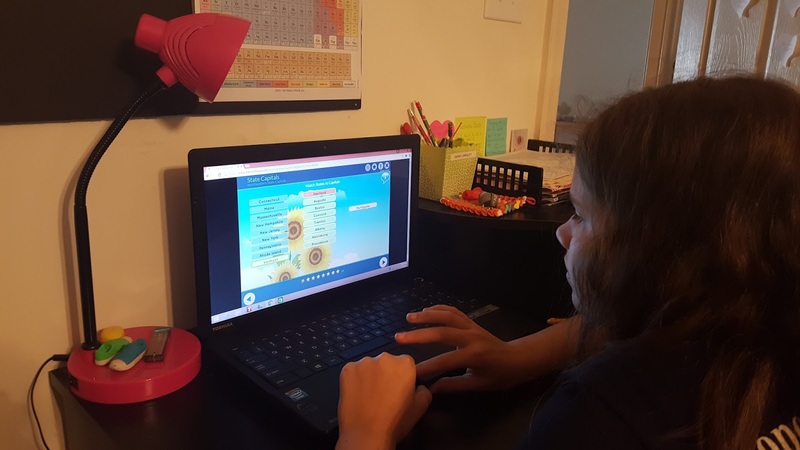 The Complete Home Learning Suite is a supplemental online subscription recommended for grades K-6 with thousands of lessons in Reading, Geography, Language & Grammar, Math, and Science. Science lessons are only available for grades K-3 and Geography is only available for grades 4-6. There are several options for payment including monthly, bi-annually, and annually. 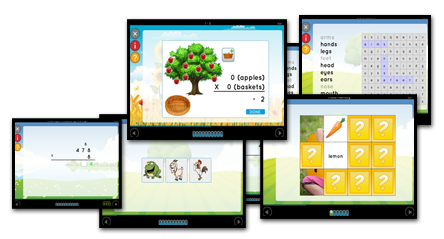 Prices also vary depending upon the number of students you plan to use the subscription. See ESA's pricing page for more information. When I first looked over the Complete Home Learning Suite, I thought it would be a great review for my daughter of the states and capitals she has worked on this year. She is actually in 7th grade but we found this to be a wonderful program that she could do independently for review. Once you set up your student/students, you can require a password for them to log in with or just skip that and let them log in automatically. Students can easily jump from subjects using the subject tab as well as choose different grade levels if necessary. I think that's a very appealing feature because not all students are on the same grade level for every subject. Activities in each lesson vary but some of the activities you will do include learning the names, spelling the names, and finding the location on a map. 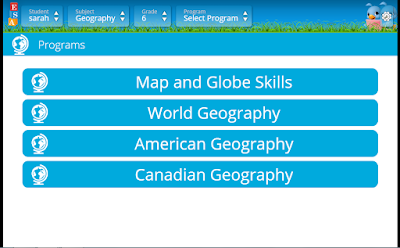 Below are a few of the activities included in the American Geography portion. 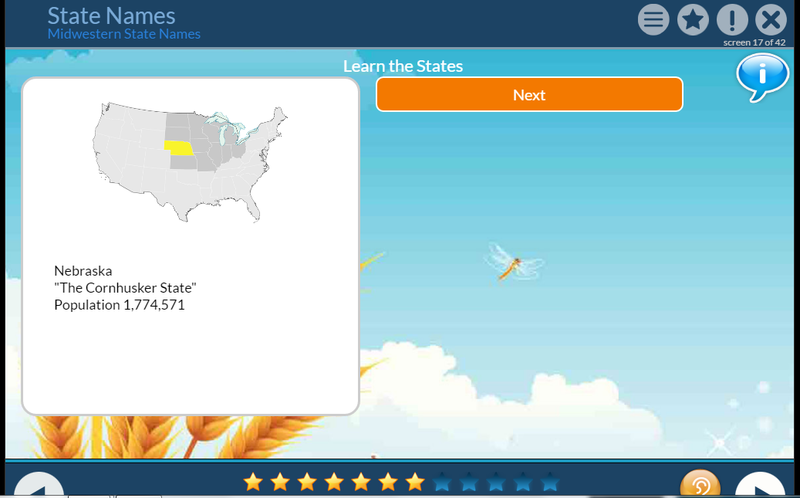 Here you are simply learning where the state is geographically, how to spell it, it's nickname and population. 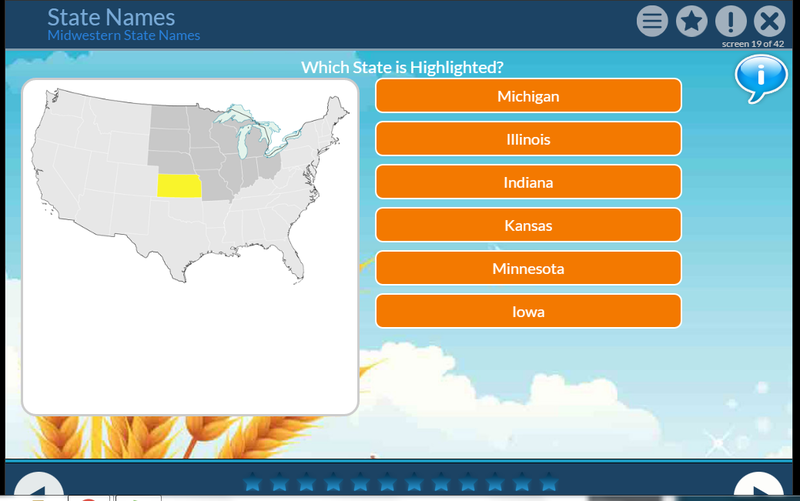 For this activity, a state is highlighted and you pick the correct one from the states listed. This activity gives the students clues about where the state is located and they pick the correct state from the right. This activity highlights the state and gives its name scrambled. 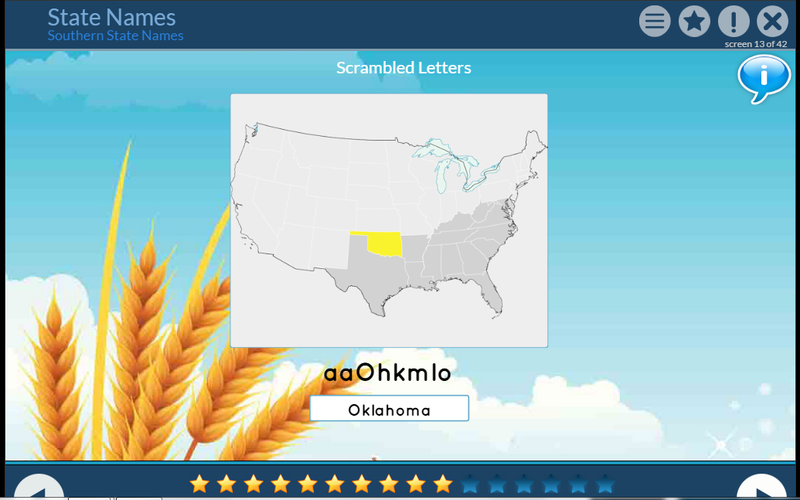 The student has to unscramble the letters to correctly spell the state. 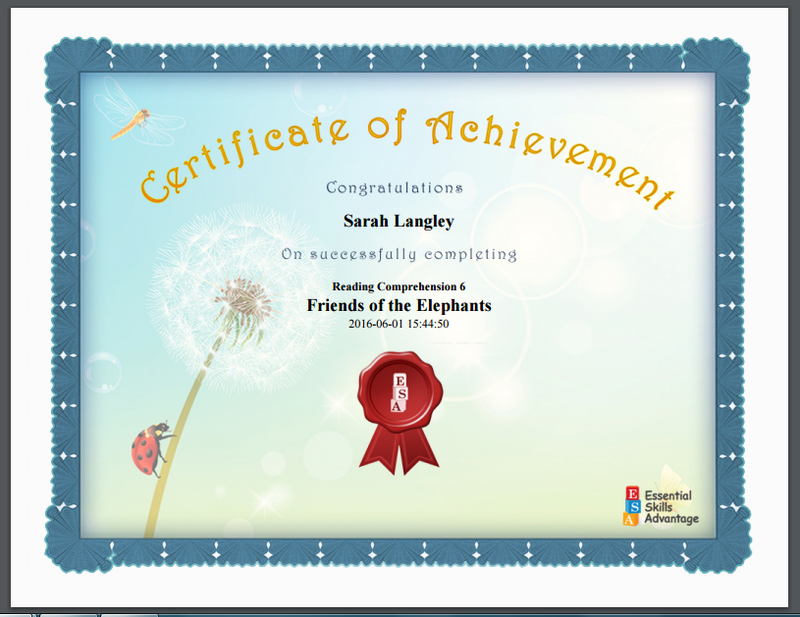 The parent and student have charts available recording the students progress, as well as certificates that can be printed out upon completion if you would like. 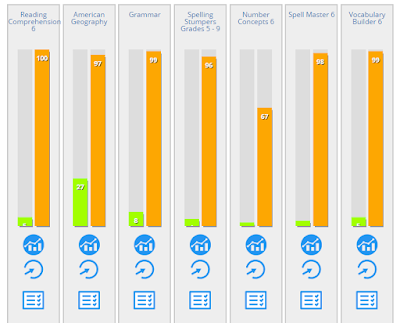 The reports include time spent, average grade, and activities completed per section. 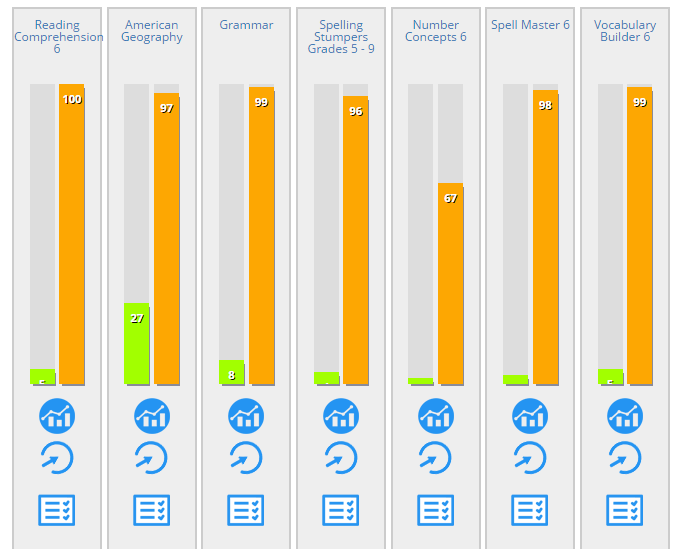 There is also a report card feature available. 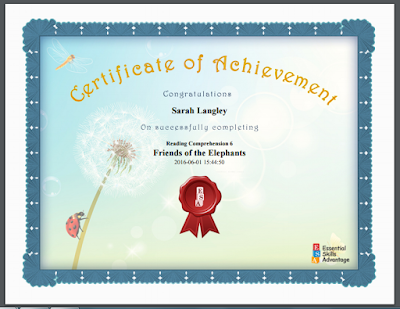 Sarah also completed a few activities in other subject areas as well. Activities vary by subject but include word finds, multiple choice answers, fill in the blank, dragging and dropping, sorting, etc. Some basic keyboard skills will be necessary for students to complete the lessons. However, we found the program extremely easy to navigate. 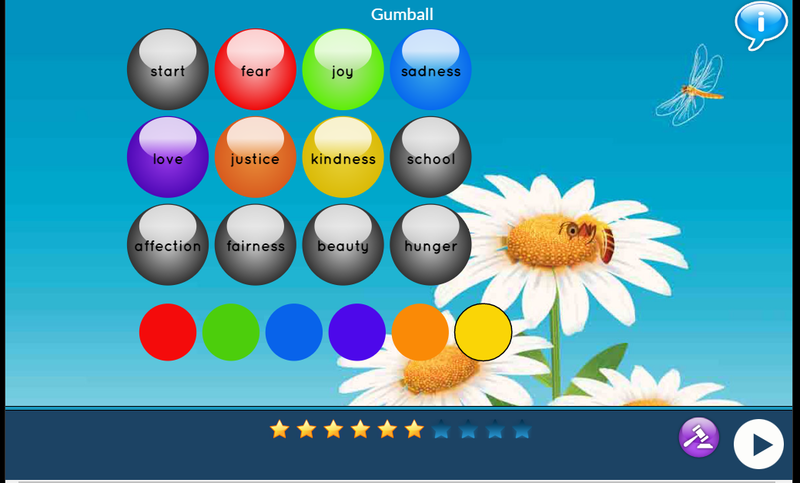 Here is a grammar activity where the student had to color all the abstract nouns. First you needed to click on the color and then click on the noun. 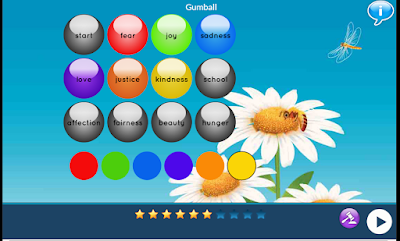 By clicking on the little hammer at the bottom, students could be reminded of the rule for abstract nouns and given a few examples in case they became stuck or could not remember the rule. Overall, ESA has been a perfect resource for our summer learning activities. It's simple, not overwhelming, and doesn't take much time to complete yet keeps students' knowledge fresh. Sarah said her favorite subject area was reading but she felt she needed the most review in the vocabulary and math sections. She also enjoyed reviewing the grammar lessons. You can find out more about ESA on Facebook, Twitter, and Pinterest.